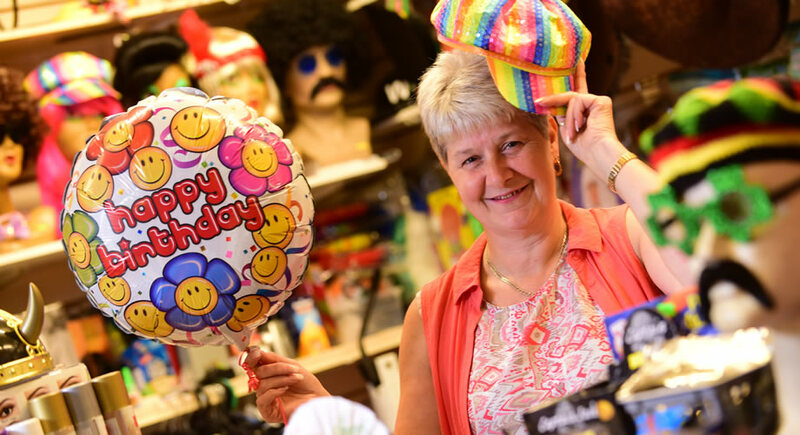 I’m Jane who owns the Balloon Craft & Party Time business at Chester Market, I love my job as I get to sell all the weird and wonderful party accessories to let the fun begin! From balloons galore I sell much, much more. Whatever the party I supply costumes from Halloween to World book day, Christmas and New Year celebrations. Made your own costume? The range of accessories on offer will give your outfit the finishing touches. We stock for all ages and cater for pre-wedding parties; sell party pieces, personalised badges/sashes and helium balloons. For that special children’s party in mind we hire children mascots at a competitive price. Whatever the occasion you will not be disappointed!